FreeClassicMovies wrote: Released on May 8, 1954: Rocky Jones and his Space Rangers hunt down the outer space pirates who are spacewhacking supply rockets destined for the planet Cassa 7. The 1930's and 1940's were the golden age of cowboy westerns, often featuring the famous Texas Rangers . . . Adventures about outer space are as old as the history of movies, but the golden age of outer space was probably the 1950's, when rocket ships moved from fantasy to fact. Television was also coming of age in the 1950's and this motion picture is a combination of both . . . Rocky Jones, Space Ranger was a popular television show. This motion picture is a combination of three episodes of the television show in a story called The Pirates of Prah, that aired on May 8, 11, and 18 in 1954. 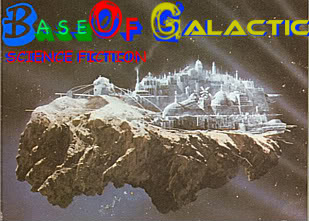 Supply ships heading to the planet Cassa 7 are vanishing from outer space before they can deliver their cargo. As our adventure opens we discover that beautiful blonde space girl Vena Ray is on a supply ship approaching the planet when the rocket ship is suddenly disabled in space, with no way to power the rockets or even communicate with their two way television system the visio-graph. Suddenly a rogue rocket ship slides up beside the crippled space supply ship and space pirates board the supply ship and remove all of the cargo. Vena and the rocket pilot fight valiantly but the pirates get away with the cargo and strand the blonde space girl and the rocket ship pilot in an orbit that will leave them alone and helpless in space for the next million years! Rocky Jones and his navigator Winky, along with young Bobby take off from Earth in the Space Rangers ship The Orbit Jet in search of Vena and the vanished rocket ship. Unfortunately the space pirates have placed a rogue rocket ship in his path that is instructed to blast the Orbit Jet and Rocky Jones into smithereens (that's a technical term from the 1950's meaning 'lots of little pieces') . . . It looks like the end for Rocky Jones and the Space Rangers, not to mention blonde space girl Vena Ray . . .